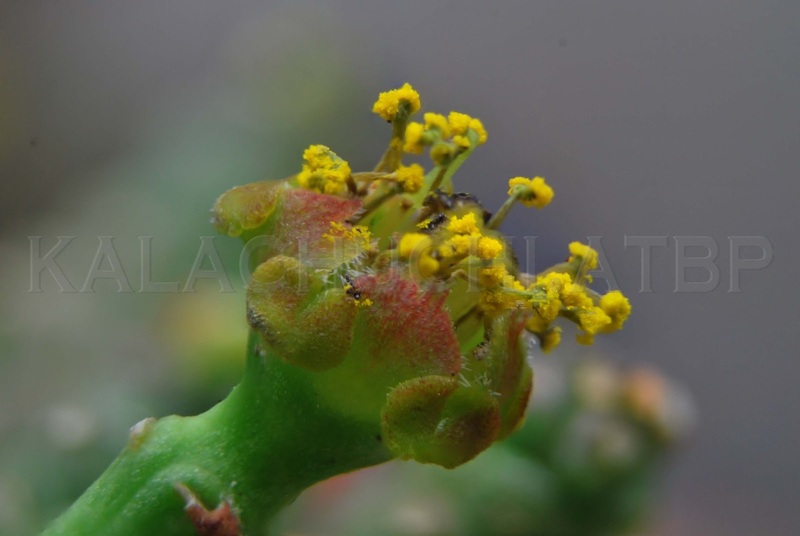 Euphorbia flanaganii (VU) SANBI reports that there has been at least 40% reduction of this plant's wild population due to habitat loss and medicinal plant harvesting in the KwaZulu-Natal South Coast region over the past 100 years (generation length 40 years). An additional 10-15% decline is expected in the next 20 years due to the N2 road construction through the Wild Coast in the Eastern Cape, which will cause additional habitat loss and allow access for medicinal plant harvesters. 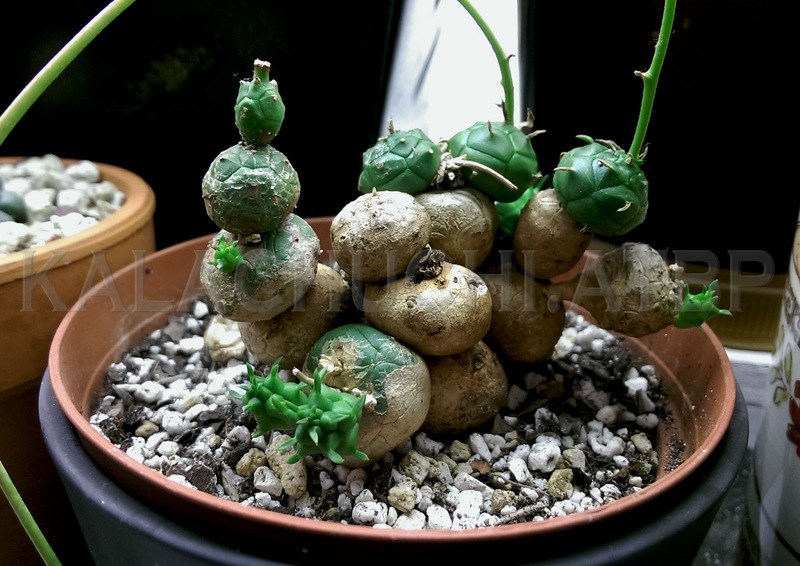 So if you have one, try to propagate it and give it away! 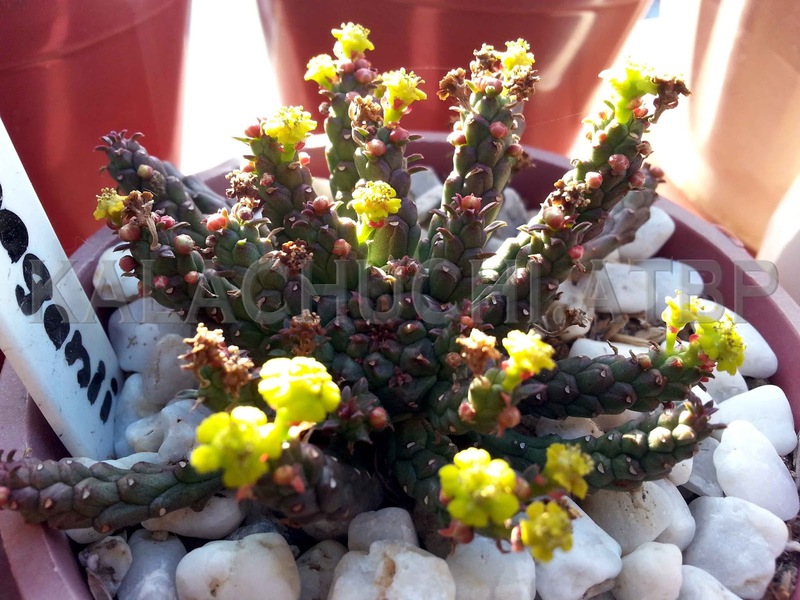 Euphorbia gorgonis (CITES II) For some reason this plant, supposedly a native of South Africa, is not in the SANBI list. But CITES considers it and all species of euphorbias to be an Appendix II plant. E. gorgonis in bloom in early spring. Tried to run a fine brush over those pollens to artificially fertilize but no bananas.